The aggregate total of perceptions the customers and potential customers have towards an individual or organization and its offerings based on prior experience and media. That is a lot to process. Don’t worry, we will break it down But what does it mean to your business? It means your brand is in the mind of your customers. You can have the fanciest logo, the best packaging, and the sexiest product design, it doesn’t mean you have a strong brand unless it translates into the minds of your customers. The aggregate total: The sum of all feeling of people affected by the brand. of perceptions: The thoughts and feelings people have before using or re-using the product or service. These can be negative or positive. the customers and potential customers have: People who do or could actually transact with the company. towards an individual or organization and its offerings: A company / product / product line / service. based on prior experience and media: The brand is the result of the experiences with the products / services, marketing material, news and other people, i.e. word of mouth. Let’s look at what that does and doesn’t mean. 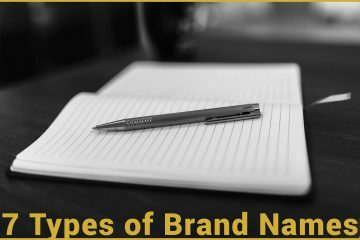 Brand not mean a logo or a companies graphics; This is referred to as “branding” and not the “brand.” A brand can mean the name and products of a company, e.g. “Tide,” “Apple,” “Oprah,” or “The DMV” as the words carry preconceptions with customers. Everything has a reputation, and reputation and brand can almost be used interchangeably, but brand is reserved for things that have something to sell or transact. Brands are typically companies but can be products (Big Mac), services (20 Minute Oil Change), sales (BOGO), people (Justin Bieber), political organizations (The Democrats), governmental agencies (The IRS), and charities (The Cancer Society). If the reputation of something can potentially affect the way someone transacts, then it is a brand. How Other Experts Define Brand. 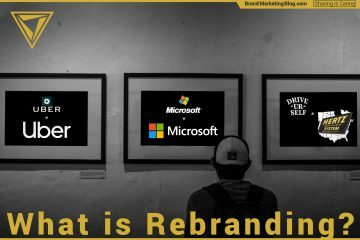 Here are the definitions of the word brand from some branding luminaries. To read more, visit Heidi Cohen‘s full list. Note: links in this article have Amazon associate codes. Brand Marketing Blog makes a small commission only when you purchase the products from them with the link. It does not increase the price for you, and it allows us to keep this content free.